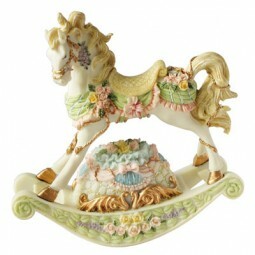 Horse carousel made of poly stone. Decorated with flowers turns to the melody "Minuett Mozart". Measures: 19,5x8x20 cm.. Dancing giraffes made of wood, spin to the melody “The Entertainer”. Measures: 11x11x10 cm. 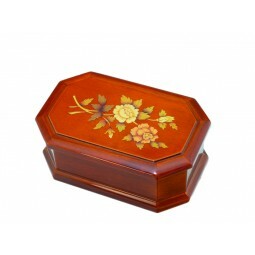 Jewelry box made of wood, with two middle and six side drawers. By opening the cover a ballerina dances to the melody “Bolero”. 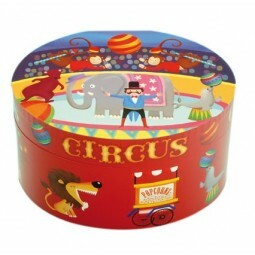 Measures: : 26,5x15x13,5 cm. 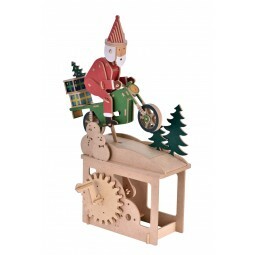 Wooden edgy construction kit “Santa on a bike”. Nice packed kit with a 3D jigsaw puzzle When you stuck together all parts correctly you can turn the hand brace and the scene will move. 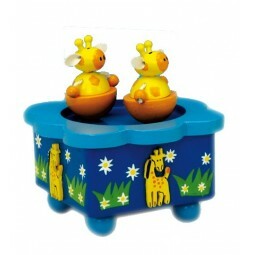 You can order a musical power unit for this item (68348) that plays a melody and makes the item move automatically! 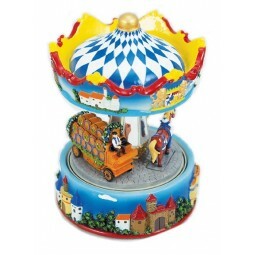 Winter carousel made of poly stone, turns to the melody “Jingle Bells”. Measures: Ø10,8x16,5 cm. 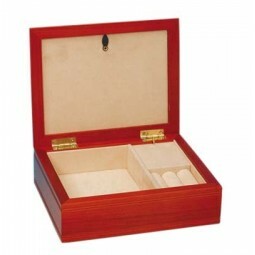 Jewelry box made of wood, with one middle and four side drawers. By opening the cover a ballerina dances to the melody “Bolero”. Measures: 19,5x11,5x10 cm. 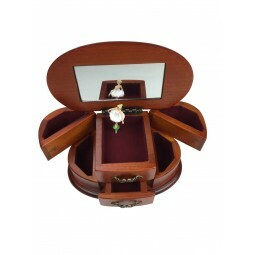 Jewelry box made of wood, with 2 front and six side drawers, which can be opened. By opening the cover a ballerina dances to the melody “Bolero”. Measures: 26,5x15x13,5 cm. 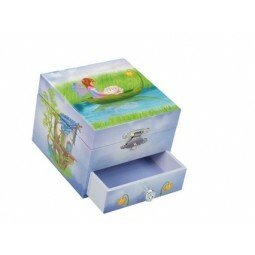 Fairy jewelry box, by opening the cover a fairy turns to the melody “Brahms lullaby”. Measures: 15x11,5x8,5 cm. 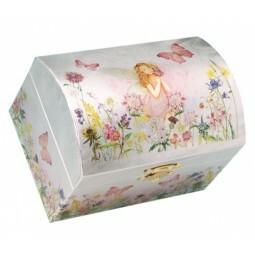 Fairy jewelry box, by opening the cover a fairy turns to the melody “Greensleeves. Measures: 15x11,5x8,5 cm. 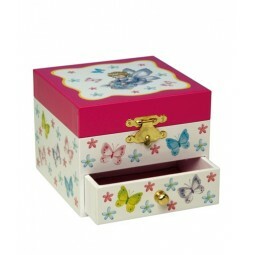 Butterfly jewelry box with a drawer, by opening the cover a fairy turns to the melody “A little night music”. Measures: 10,5x12x8,5 cm. 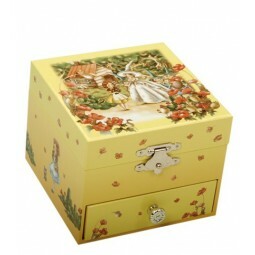 Wizard of Oz jewelry box with one drawer, by opening the cover a fairy turns to the sound of “Flower Waltz”. Measures: 12x10,5x8,5 cm. 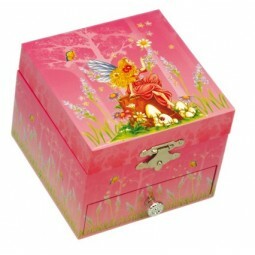 Fairy jewelry box, by opening the cover a fairy turns to the melody “Au Clair de la lune”. Measures: 8x11x11 cm. 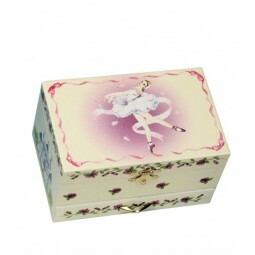 Ballerina jewelry box, by opening the cover a ballerina turns to the sound of “Emperor Waltz”. Measures: 12x13x14 cm. 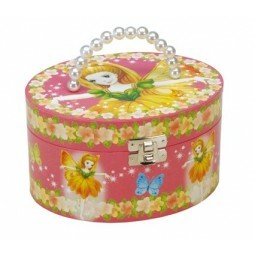 Ballerina jewelry box, by opening the cover a ballerina turns to the melody “Swan lake”. 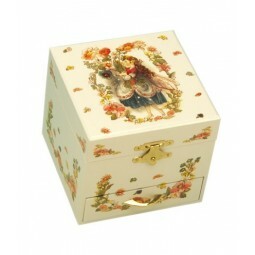 Measures: 10,5x11,5x8,5 cm..
Ballerina jewelry box with four drawers, by opening the cover a ballerina turns to the melody “The Entertainer”. Measures: 20x14x16 cm.. 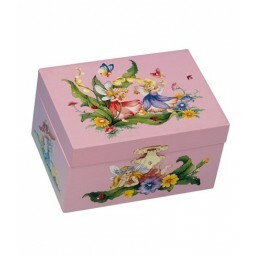 Jewelry box with drawers, by opening the cover a ballerina turns to the melody “Sur le pont d'Avignon”. Measures: 13x11x10 cm. 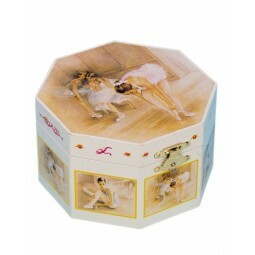 Ballet jewelry box, by opening the cover a ballerina turns to the melody “Brahms Waltz”. 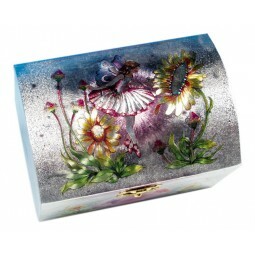 Measures: 15x11x8 cm..
Fairy jewelry box, by opening the cover a ballerina turns to the “Flower Waltz”. Measures: 15x11x8 cm. 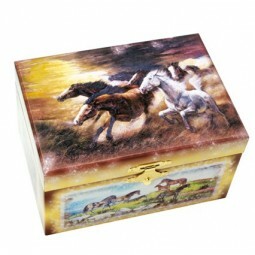 Horse jewelry box, by opening the cover a horse turns to the melody „Auld Lang Syne“. Measures: 15x11x8 cm. 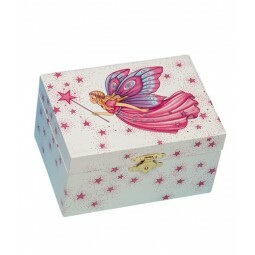 Fairy jewelry box with a drawer, by opening the cover a fairy turns to melody “Fantasie Impromptu”. Measures: 13x11x10 cm. 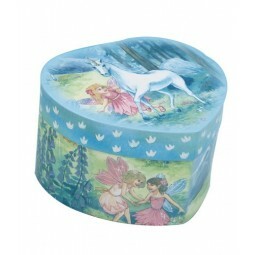 Ballerina jewelry box, by opening the cover a ballerina turns to the melody “Swan lake”. Measures: 15x11x8 cm.. 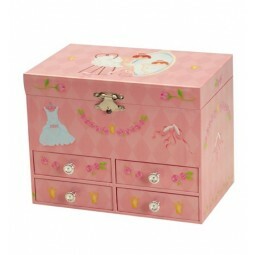 Jewelry chest with elf scene. By opening the cover a ballerina turns to the “Flower Waltz”. Measures: 15x10,5x10,5 cm. 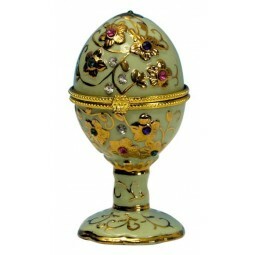 Green jewelry egg made of porcelain, by opening the cover the melody “A little night music” plays. Measures: Ø6x11 cm. 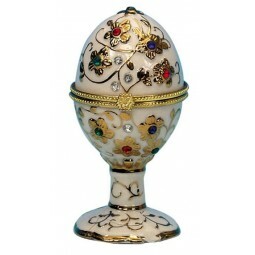 White jewelry egg made of porcelain, by opening the cover the melody “For Elise” plays. Measures: Ø6x11 cm.. 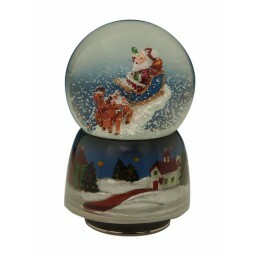 Snow globe 80 mm with Santa Claus II. 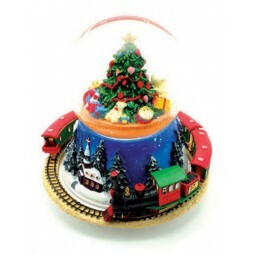 The globe turns to the melody “Jingle Bells”. Measures: Ø8x13 cm. 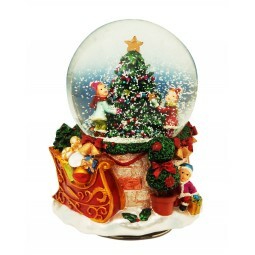 Snow globe 80 mm with Christmas tree. 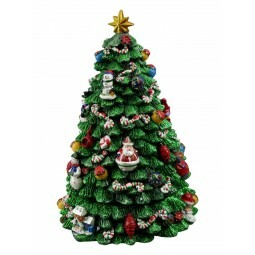 The globe turns to the melody “Twelve days of Christmas”. Measures: Ø10x13,5 cm. 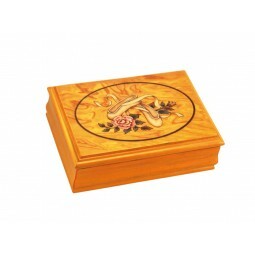 High jewelry box with flower in marquetry design. Measures: 20x13x8 cm Plays the melody “For Elise”. NO AUTHENTIC MARQUETRY. 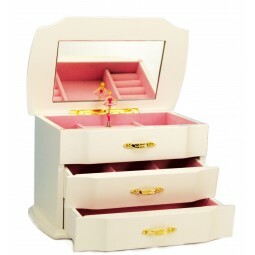 Jewelry box ballerina with a drawer. 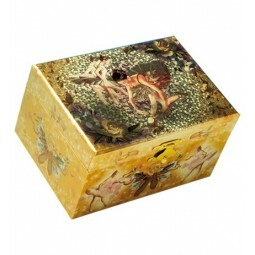 By opening the box a ballerina turns to the melody “A little night music”. Measures: 19x12x10 cm. 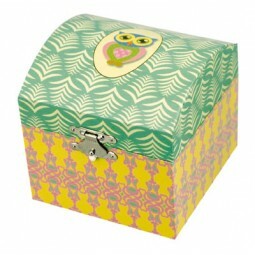 Chest Jewelry box with owl motive. By opening the cover a fairy turns to the melody “Brother Jacob”. Measures: 10,5x11,5x10,5 cm. Carousel with baby girl turns to the melody “Schuberts Lullaby”. Measures: Ø11x16 cm.